​My focus is on you and what I can do to assist you, to get you to where you want to be emotionally. My personal professional philosophy is, "Keep moving Forward". Together, we will work on maximizing the power of You! ​ Adrienne Charleston decided at the age of 25 that she wanted to help people reach their full potential. At that time, she found herself 7 years into the military as a Legal Specialist and some years left on her obligation. So, she made a plan. This plan took years to come to fruition, but she never gave up and kept moving forward despite the speedbumps life placed in her way. Adrienne completed that active duty obligation and then some. She then joined the Army Reserve as a Mental Health Specialist. While in the Reserves, she was working toward Military Retirement and on her degrees. Adrienne went back to her home town and attended Fayetteville State University. She graduated with honors with a BS is Psychology and a minor in Criminal Justice. 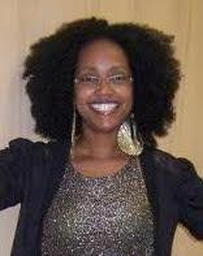 Adrienne then attended North Carolina Central University where she received her Master's in Psychology. She retired from the military before graduating with her Master's. Adrienne then tested and became a Licensed Psychological Associate and began practicing Psychology in the state of North Carolina.